VLCC Institutes was set up in 2001 with the objective of rendering skilled professionals to the industry and helping students carve a niche for themselves in this creative world. VLCC is one of the best Institutes in India offering courses in Beauty, Health & Nutrition. The students at the VLCC institutes receive a holistic perspective of the industry, right from the induction, special lectures and seminars, to mid-term and end of term evaluations.The faculty of VLCC institute is highly qualified. The institute is spread across all states of the country, giving an opportunity to students living in small towns to acquire the same professional skills as those in the metros. The institute consciously maintains an optimum student-teacher ratio. VLCC’s industry connections and nationally accredited degrees ensure high quality placements for its students. 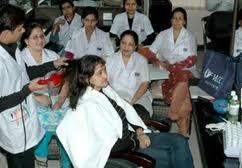 Presently, the size of the vocational beauty education market is estimated at Rs. 120 crore and the VLCC Institutes are growing at 100 per cent annually. VLCC intends to launch 100 institutes across India by 2010. To ensure appropriate training and guidance to its students, VLCC Institutes are affiliated to the famous City and Guilds College, UK, thereby making it one of the most renowned educational institution in South Asia. Beauty Industry, Hotels, Cosmetic units, Academic Institutes, Fashion Industry, TV and Film Industry, Open your own salon. The Course equips an individual to be a professional Body Therapist who can be judiciously employed in the Beauty / Slimming Units, Gym, Spas, Hotels and Health Resorts. The trained Pedicurist / Manicurist would be equipped to deliver the Pedicure and Manicure Services in the most professional manner. The Course equips an individual to be a professional Spa Expert who can be judiciously employed in the Beauty / Slimming Units, Gym, Spas, Hotels and Health Resorts. Nutrition is the study of the influence of food intake on health and wellbeing. The importance of nutrition in the primary prevention of disease (public health nutrition) is recognised by governments in both developing and developed countries. Public health nutrition involves studying the relationships between dietary intake and disease using the tools of nutritional epidemiology and applying the knowledge gained to help prevent disease in the population (nutrition intervention). Dietetics is the application of nutritional knowledge particularly tailored to individual needs. This course would equip an individual to understand and enhance their Nutrition knowledge and to apply the inputs in making correct choices in food for self & family & the community.. This would also supplement the specialization of graduates from medical& paramedical fields with nutritional inputs. Graduates from medical/paramedical fields, non-science graduates , physiotherapists, fitness trainers, gym instructors. 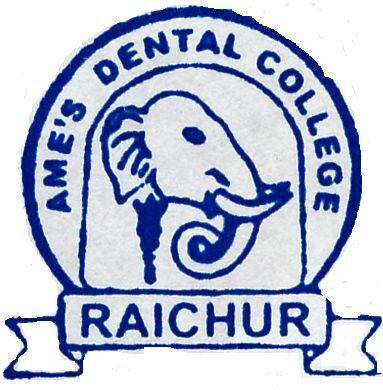 Successful completion of the courses ,would help in the following :- 1. Examine all the major nutrients (protein, fat, carbohydrate, vitamins and minerals) and energy, and the consequences of nutrient deficiencies. 2.Understand the importance of food during different stages of the life cycle - maternity and infancy, childhood and adolescence, and old age and plan diets accordingly. 3. Learn the dietary management of diabetes, renal disease, cardiovascular disease and obesity. This course investigates the relationships between disease and malnutrition and between nutrition support and outcome from illness. This is an exciting area for several reasons. There is now growing clinical evidence that nutrition is an important part of clinical therapy, which can exert significant positive effects. It will provide an important career-development route for Dietitians. Additionally, doctors and appropriate paramedical staff will find the programme attractive because it provides up to date knowledge of theory and practice of Clinical Nutrition and practical experience of clinical research. Graduates from medical/paramedical fields, dietitians, physiotherapists, sports medicine. The course aims to provide a broad perspective in relation to disease-related malnutrition and the most appropriate treatment modes. It builds on expertise in the areas of nutrition and dietetics, metabolism and epidemiology. Additionally, it integrates experimental and theoretical knowledge of acute illness, metabolism and nutrition with practical aspects of artificial nutrition support. As technology continues to make our lives more sedentary, the role of nutrition and physical fitness in promoting health and preventing disease is increasingly vital. Whether the goal is to feel stronger, look better, relieve stress, or enhance athletic performance, knowledge of sports nutrition helps in encouraging nutritional discipline, promote cardiovascular health, and improve flexibility and strength. As a fitness consultant, one must be well versed with human anatomy and different aspects of muscle strength and endurance. A good professional is competent in assessing clients, and designing appropriate fitness programs, both for aerobics and weight training, diet planning inclusive. This course is ideal for fitness professionals, instructors, coaches, dieticians, personal trainers, body builders and for people wanting to known more about Nutrition & Supplementation. The course would equip an individual with additional knowledge on the :– 1. Nutritional inputs related to fitness. 2. Nutritional needs during various forms of exercise. 3. Role of ergogenic aids – their benefits & contraindications. Infants and children of today are our precious human resources of the future. The manner in which we nurture them today, will determine the quality of our human resources tomorrow. Nutrition is poorly taught at every level- doctors, nurses, health auxillaries and others. The emphasis is on disease rather than health, with the result that advice given is often inaccurate and conflicting. This course aims to fill some of these lacunae and provide practical knowledge and information to all those concerned with health and nutrition. The course equips an individual with additional knowledge on the nutritional aspects regarding children. The mothers acquire knowledge skill that helps in effective care of themselves and in the growth and development of the new born child. This course is ideal for doctors, nurses, dieticians, health workers and mothers. The course would help in learning more about :- 1. Maternal health and nutrition. 2. Nutritional needs of children. 3. Growth and development of children. 4. Nutritional disorders of children. Duration:- 1 year plus 3 months post examination internship. Hospitals, Nursing Homes, Corporate Houses, Slimming Centers, Gym, Hotels.